The Gujarat Secondary Education Recruitment Board has dispatched a new recruitment notification to fill up 2329 Principal Vacancies. People from Gujarat State who are interested in Teaching field must utilize this opportunity and apply for GSERB Recruitment 2017 Notification before the last date. The application form begins from 10th October 2017 to 31st October 2017. So, those who are willing to apply for GSERB Principal Jobs 2017 must check this article completely. The job seekers who are waiting for GSERB Recruitment 2017 Notification this is a golden opportunity. Applying aspirants must be done their Graduation Degree or its relevant qualification from any recognized institute or university. At the bottom of the page, we provided an official notification link. So download the GSERB Job Notification and get complete details. The Gujarat Secondary Education Recruitment Board is ready to fill up 2329 Principal Vacancies by conducting written test and interview. While coming to the Age Limit the candidates must have minimum and maximum age limit for Principal Jobs. Check the official notification for more details about Age Limit and Age Relaxation. Furthered information regarding Age Limit, Eliglbity Criteria, Application Fee, Selection Process, Salary Details are mentioned on this page. So, all the aspirants who are interested in Teaching Jobs must apply for this notification before the last date. The applying aspirant’s selection process will be based on Written Exam and Personal Interview. So, all the applied candidates must face all the recruitment rounds. The application fee for the unreserved category candidates has to pay Rs. 100/-. And other reserved category aspirants need to pay Rs. 50/-. Before filling the application forms all the candidates must go through the entire article and apply. While checking the given data candidates can get a brief idea about the Eliglbity. This is a golden opportunity for the Gujarat People who are interested in Government Jobs. The apply aspirants for GSERB Recruitment 2017 Notification must fulfill their eligibility. Those candidates who meet their eligibility they have to submit their application form before 31st October 2017. Pay the prescribed application fee. Interested and willing aspirants can send their application form through online mode. Hope all the information about GSERB Openings 2017 details is clearly provided in this article. So, before submitting the application form once recheck the data whether it is suitable or not. Candidates who want to know more information about GSERB Recruitment 2017 Notification must check this entire article. All the mandatory information is clearly explained in this article. The final selection procedure is based on candidates performace. The Gujarat Secondary Education Recruitment Board has inviting online application forms to fill up 2329 Principal Vacancies. So, all the candidates who are waiting for Teaching Jobs must grab this excellent opportunity. There is a heavy competition for Gujarat State Government Jobs. After completion of the registration processs aspirants must start their preparation. Nowadays getting government jobs is a little bit tough. So, we suggest every and every applicant must concentrate on the preparation. Job seekers can find the whole details regarding GSERB Recruitment 2017 on this page. From this page, you can check Education Qualification, Application Fee, Age Limit, Selection Process, Pay SCale Details. Also, in the below section we provided simple steps for applying GSERB Jobs 2017. The organization is going to hire skilled candidates for Principal Posts. Totally the Gujarat Secondary Education Recruitment Board has released 2329 Principal Vacancies. For more details, you can also visit the official website of Gujarat Secondary Education Recruitment Board. 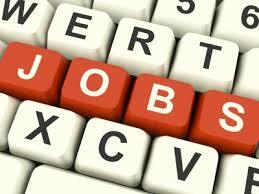 Candidates can check more State and Central Government Jobs on our website sarkarirecruitment.com. In case if you have any doubts just mention in the below comment box. Interested candidates first apply for GSERB Recruitment 2017 Notification. Follow the below given simple steps and apply before the last date through online mode. Candidates must possess their Graduation Degree or its relevant qualification from any recognized institute or university. While coming to the selection process the applied candidates must face all the recruitment rounds conducted by the Gujarat Secondary Education Recruitment Board. The organization is going to conduct written test and personal interview. The General Category candidates need to pay Rs. 100/-. And SC/ ST/ PH Category candidates have to pay Rs. 50/-. The selected candidates will receive good salary package offered by Gujarat Secondary Education Recruitment Board. Visit the official web portal of Gujarat Secondary Education Recruitment Board that is www.gserb.org. Search and open GSERB Recruitment 2017 Notification Link. Read the Advertisement and check the instructions completely. Eligible candidates for Principal Post must download the Application Form. Enter the mandatory information completely. Now upload all the required document. Verify the given information and pay the application fee. Finally, take printout for future reference. The Starting Date To Fill the Application Form: 10th October 2017. The Final Date For Submitting the Online Application Form: 31st October 2017.